Booting the game up the first time you notice it. It’s the same duck tape and glue engine that Bethesda has been working with since the beginning of time. The cracks are showing and the bugs are a plenty. I experienced possibly every bug the Gamebryo/Creation Engine is known for: screen tearing, jarring frame rates, pop-in textures and objects, crazy rag-doll physics and broken quests. There is much much more but I have to say to experience all that in 8-10 hours of playing is just absurd. How can a company in 2018 release a game in a state like this. I know I’m going to get the “but it’s a beta!” line at some point but come on the game is out in two weeks from me writing this. These are the same issues that have plagued Bethesda games since, at least in my experience, since Elder Scrolls Oblivion! Now we’re throwing multiplayer into the mix and hoping the glue holds the experience together. How anyone could make excuses for Bethesda at this point is beyond me. They are going to release this as a full fledged Fallout title in a state like this. Not to mention people on forums have found that on PC you can unlock your frame rate and it will affect the speed of your character giving you a clear advantage over anyone who doesn’t use this. During my time with the beta I didn’t go near these settings I wanted to experience this as the game was intended. When I think of Fallout I think wacky characters, world details, and a vintage aesthetic. 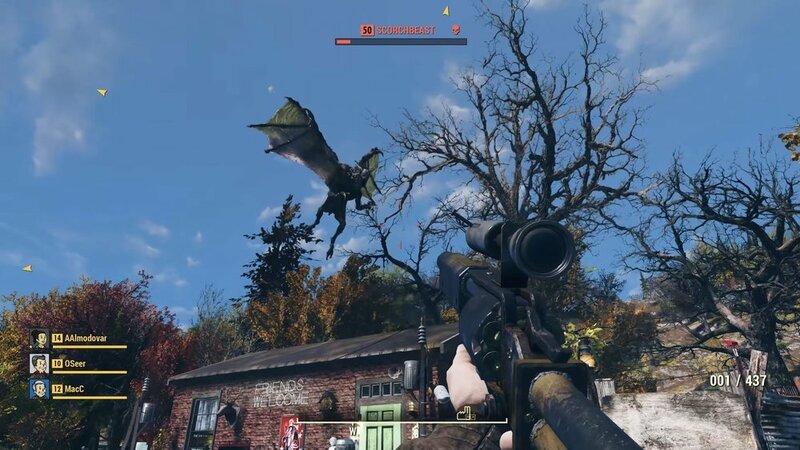 Fallout 76 has these in except one. 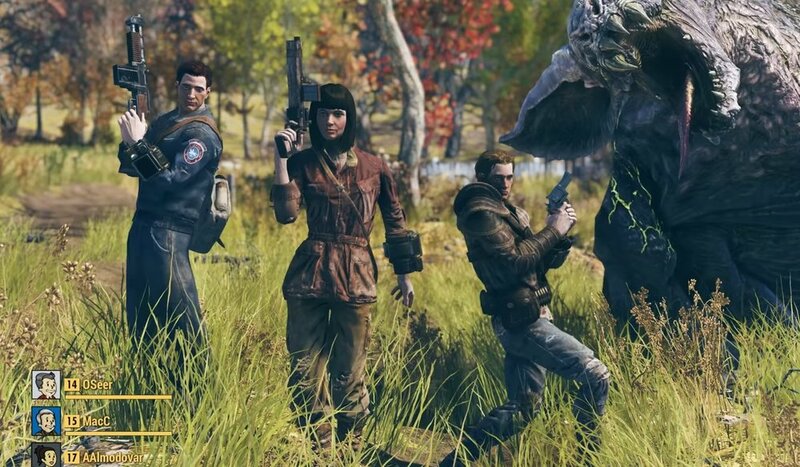 The wacky characters are absent as Bethesda’s took focus on the multiplayer experience (and quite possibly breaking the game further). NPC characters in previous Fallout titles added flavor to the world and fleshed out experiencing a post apocalyptic world. Well NPC’s no more, now you will be interacting with robots and getting your flavor from Holo-tape messages. 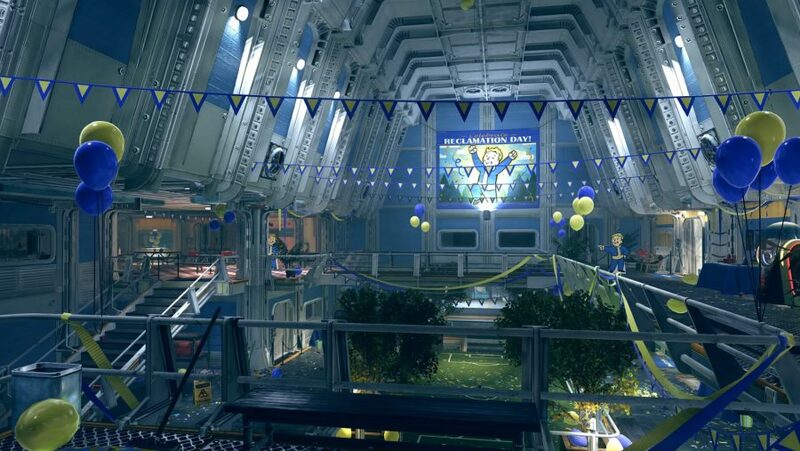 I feel as this drys out the Fallout experience for people who are expecting something more familiar. It’s for sure a more streamlined experience even though all the things that make Fallout great are still there. There is tons of exploring to be had and tons of random junk to collect and the junk even serves a purpose. One of the most overlooked and passed over features of Fallout 4 was the inclusion of base building. Most times it was still pretty janky and didn’t really click with most of the fan base. In the wasteland of West Virginia this time you get your very own C.A.M.P., a home base of sorts that you can drop anywhere that isn’t close to a main landmark. Using this home base will let you craft and build around a fairly wide perimeter. Very useful if you need to take a quick nap to restore health, store your junk, and craft. There are also landmarks you can take over and use these to generate resources faster than you would by digging through old buildings. These landmarks become a point of contention among other players. I had multiple player v player encounters fighting over these and I have to say it was a fun time. This leads me into what is probably the best part of the beta for me and that is the multiplayer. Teaming up with friends is surprisingly a joy in what is usually a lonely an isolating experience in Fallout. Sharing your experiences and loot with friends feels right. You can trade weapons and materials, team up and hunt players, and complete quests. One encounter me and a few friends got into was they were jumped by some random players. I caught up with them during their fight and plopped my C.A.M.P. down and pulled out a few defense turrets I built earlier and held down the area. We came out victorious and won the spoils off their bodies and they retreated into the woods. While we could have been on the losing side of that experience it was still something I haven’t felt in a Fallout ever. I did however try to take a base I had claimed a day or so earlier in the beta and failed to reclaim it. The player had his defenses very high and I couldn’t break them. So it could go either way in these situations. Overall if they ever work out the bugs this could shape up to be a fresh take on the Fallout series. They stick to a lot of the hallmarks that makeup Fallout’s identity while switching the formula to make way for the multiplayer experience. For me (and anyone who reads this), I plan on waiting for the post launch hype to pass before picking this up. Because of the timed nature of the beta who knows what the endgame looks like? What is the game play like at level 50? What activities do we have to look forward to when we reach the end? How long until the loop of listening to holo-tape missions gets old? These are the questions I walk away with after my few play sessions of Fallout 76. Nevertheless though it has peaked my interest and I will be watching it with great interest. All images are property of Bethesda and Zenimax Media Inc.